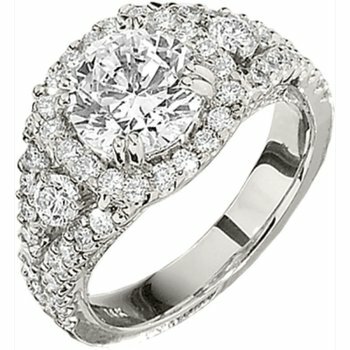 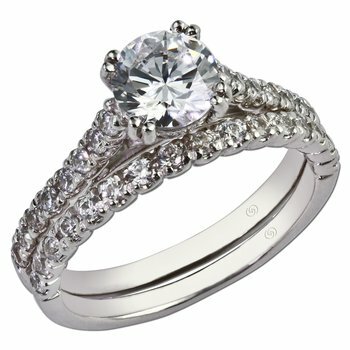 Gorgeous Classic inspired engagement setting with dazzling bead set diamonds graduating up the ring from far down the shank. 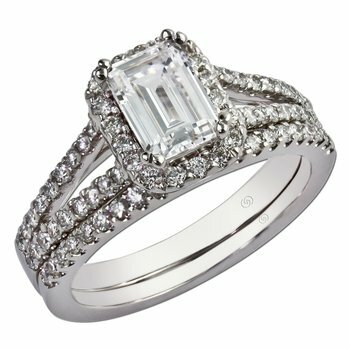 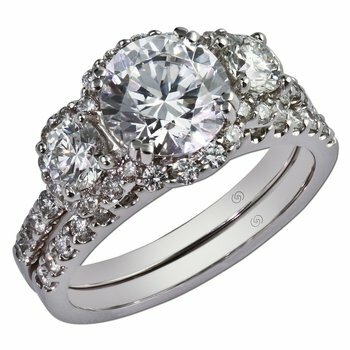 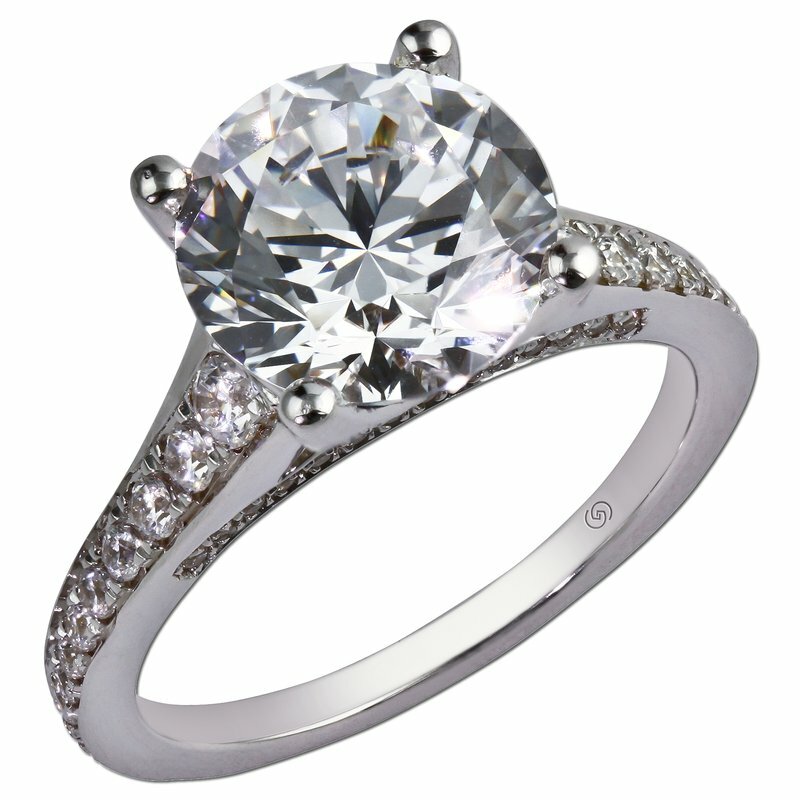 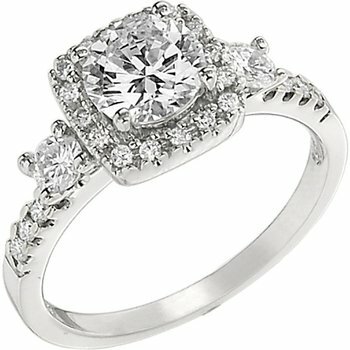 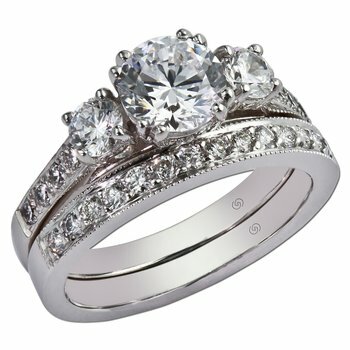 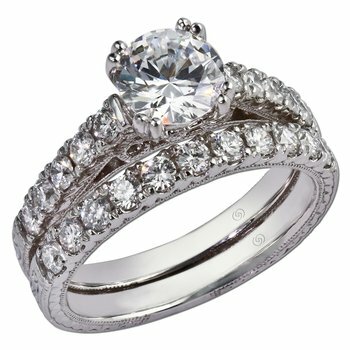 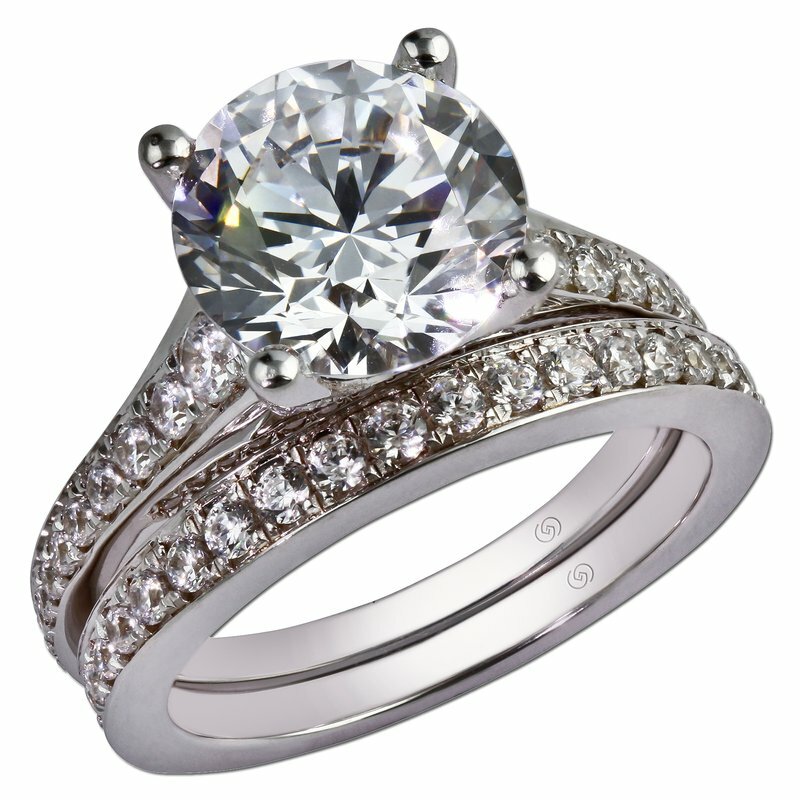 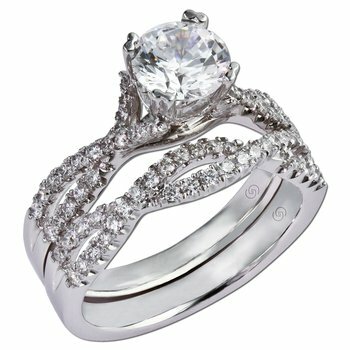 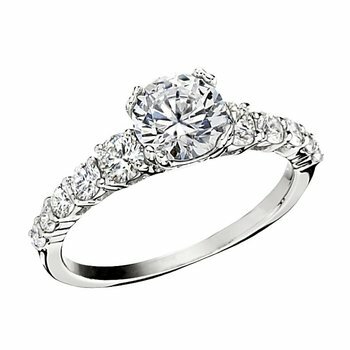 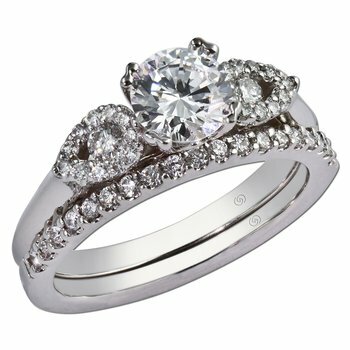 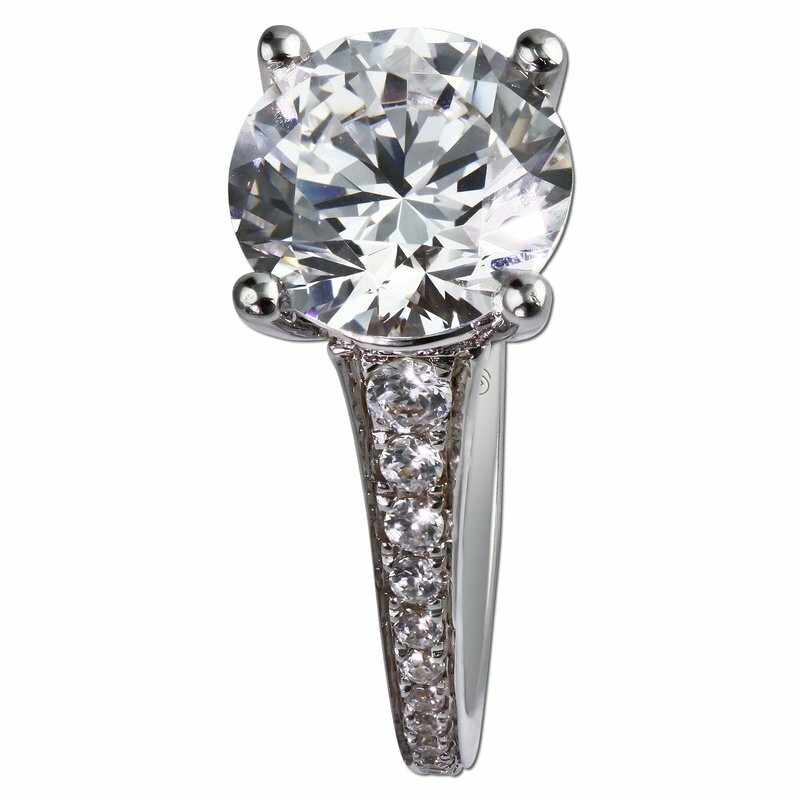 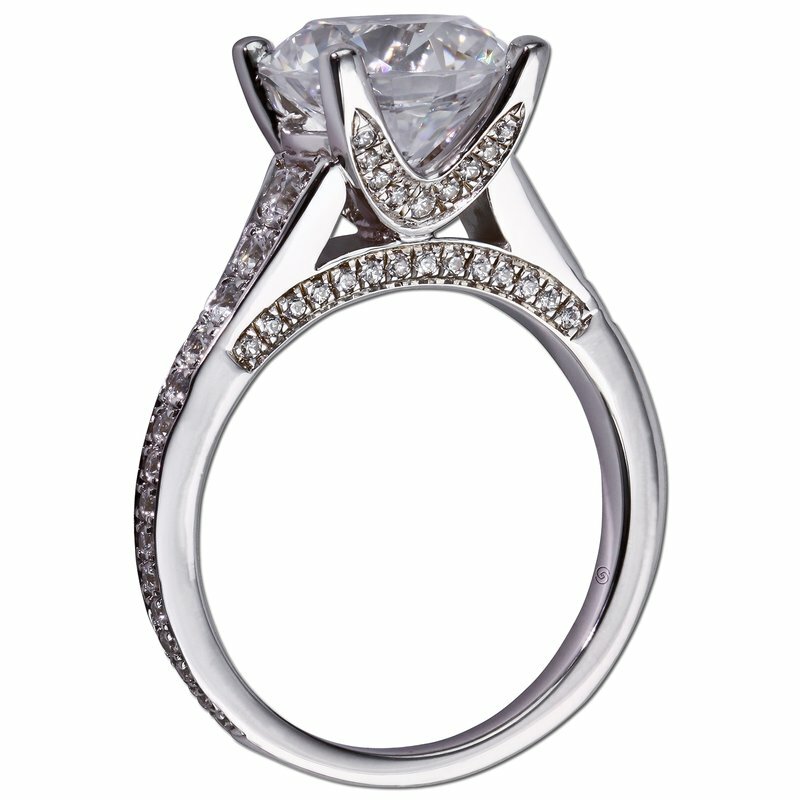 This design, with high polish edges, gives this timeless classic a modern touch. 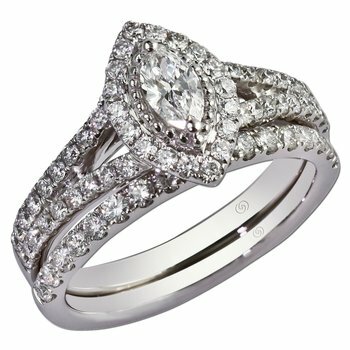 A special diamond accent bar under the center section shows sparkling bead set diamonds on both sides, adding unique beauty. 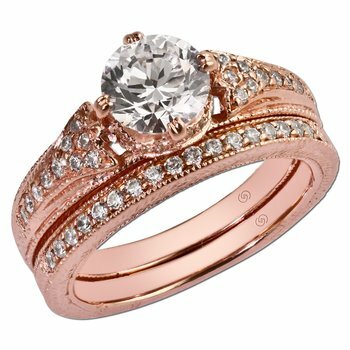 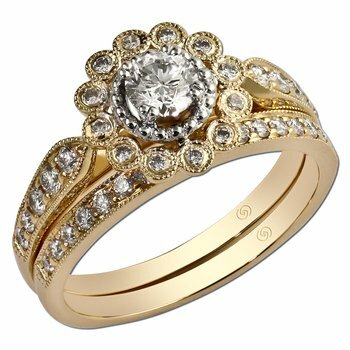 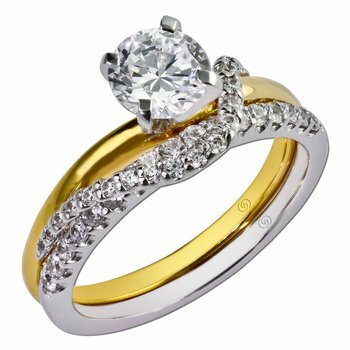 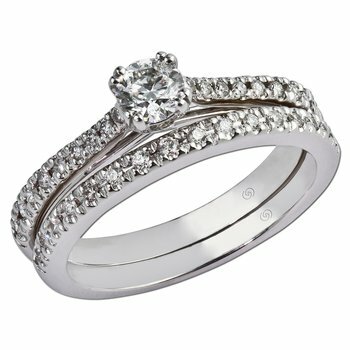 The beautiful matching wedding band offers the straight, classic design, sitting perfectly alongside the engagement ring.